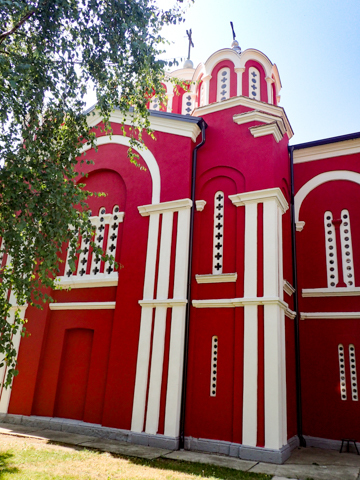 This church dedicated to the Holy Trinity was built at the turn of the 20th Century. 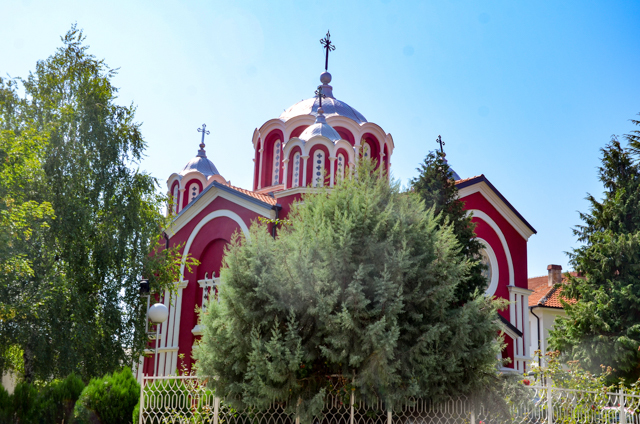 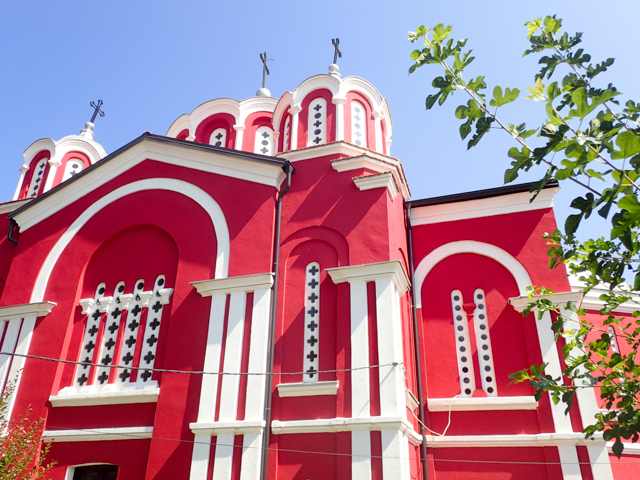 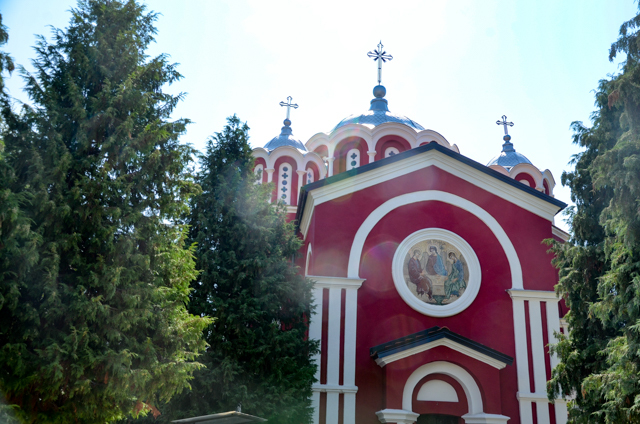 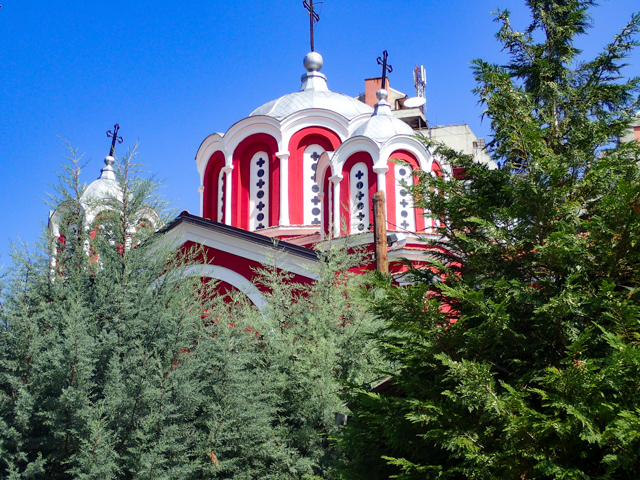 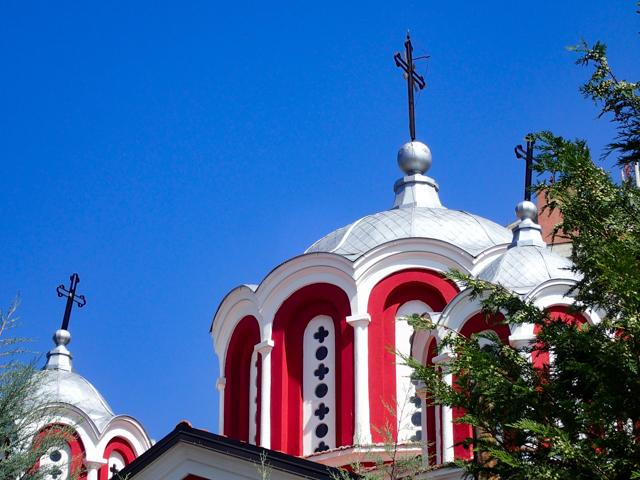 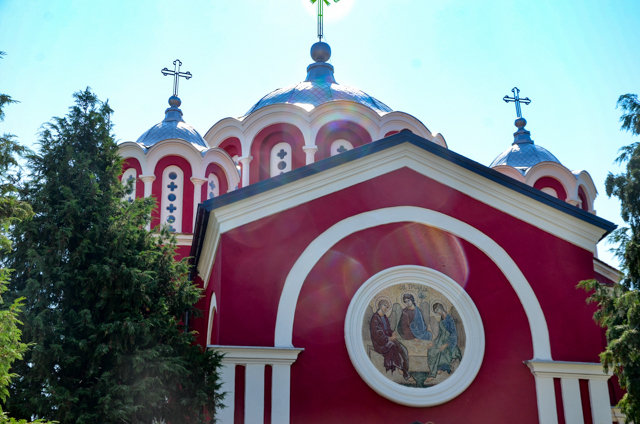 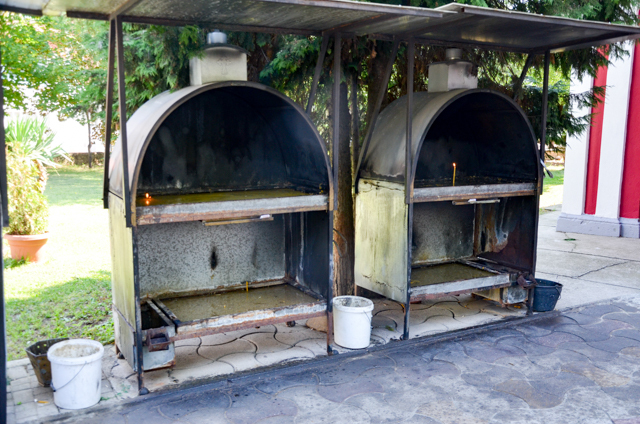 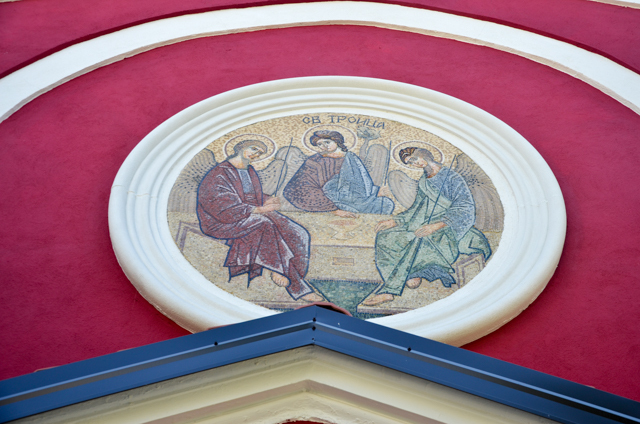 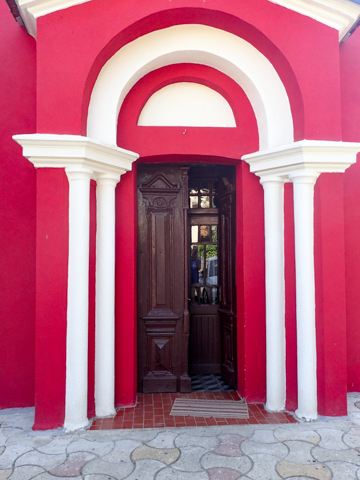 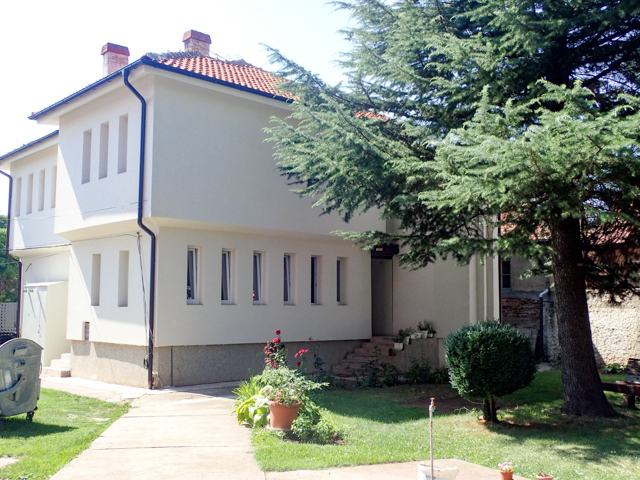 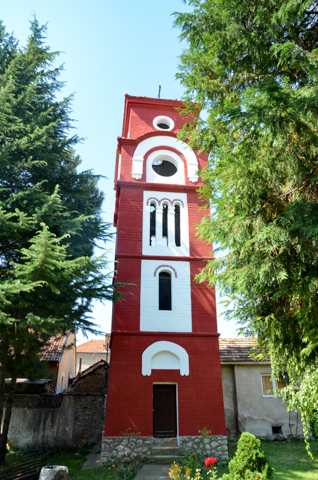 The church is located just a few steps from the heart of Kumanovo, just behind the Trajko Prokopiev Culture Center, Dom na Kultura (Дом на Култура). 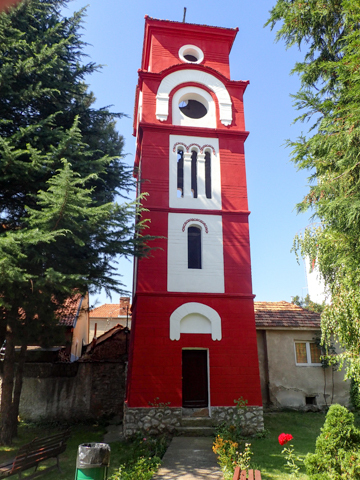 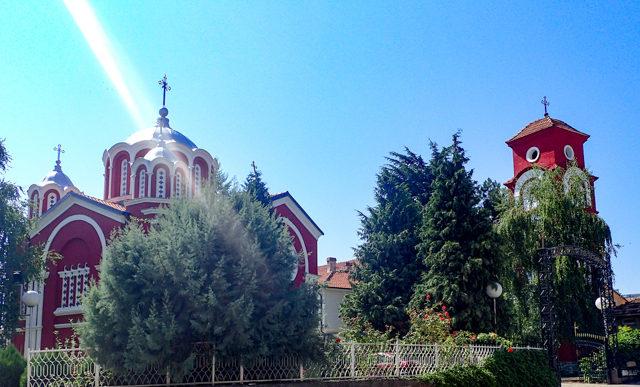 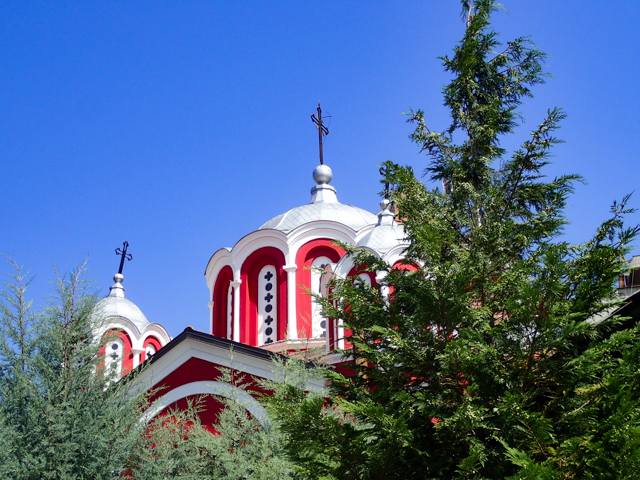 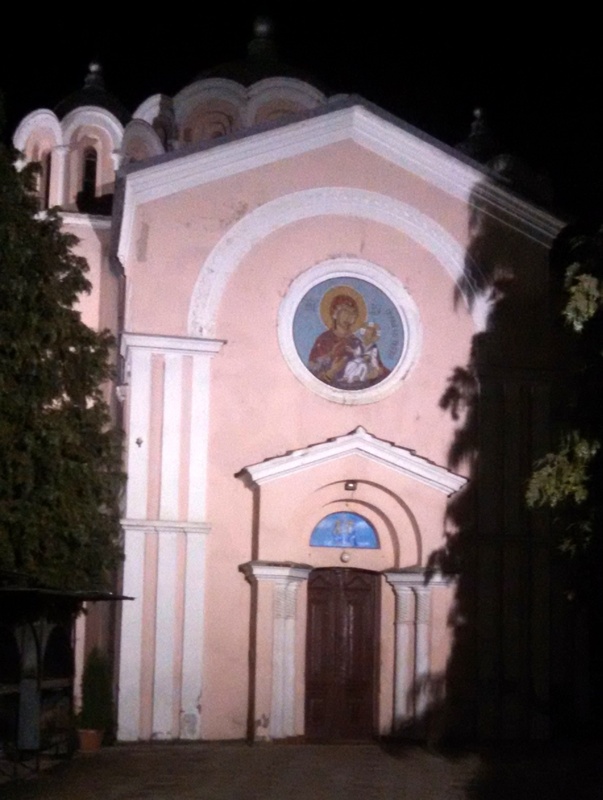 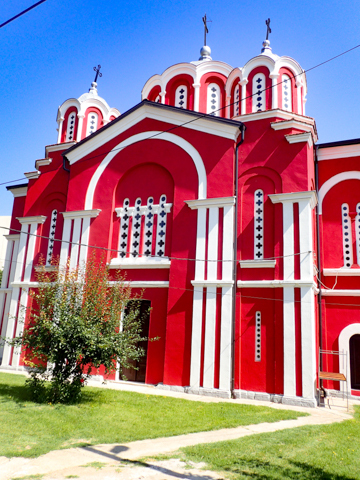 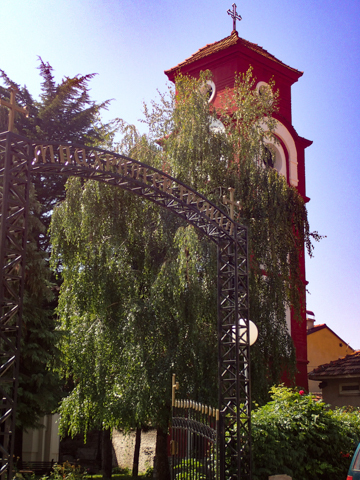 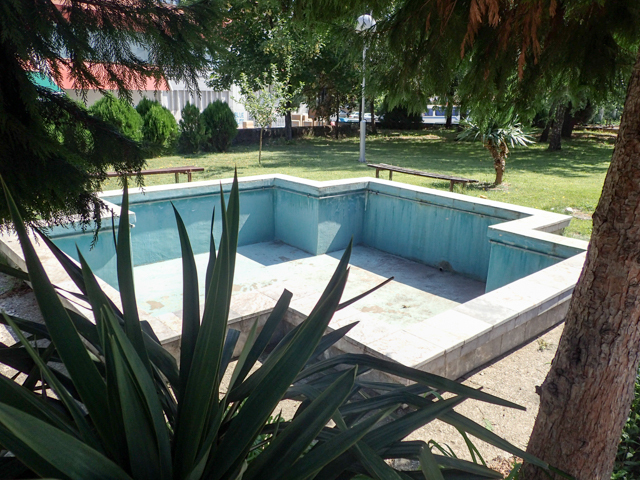 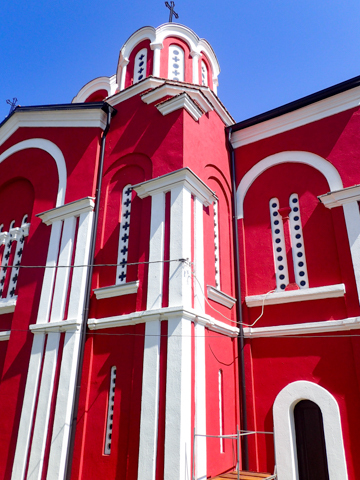 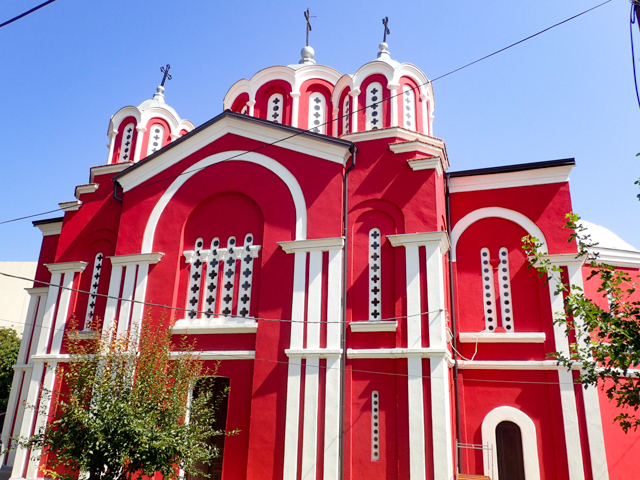 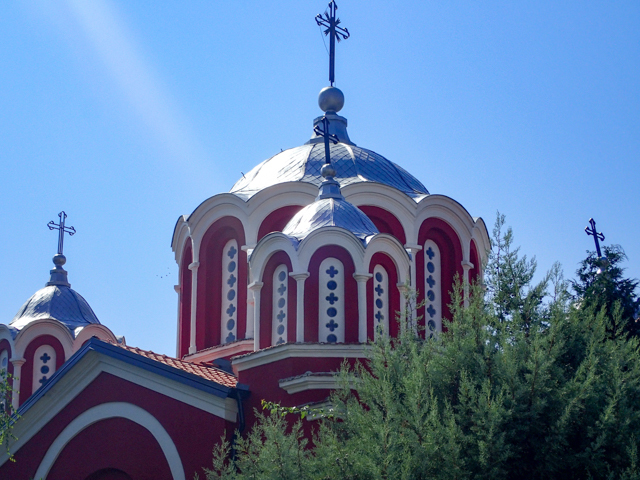 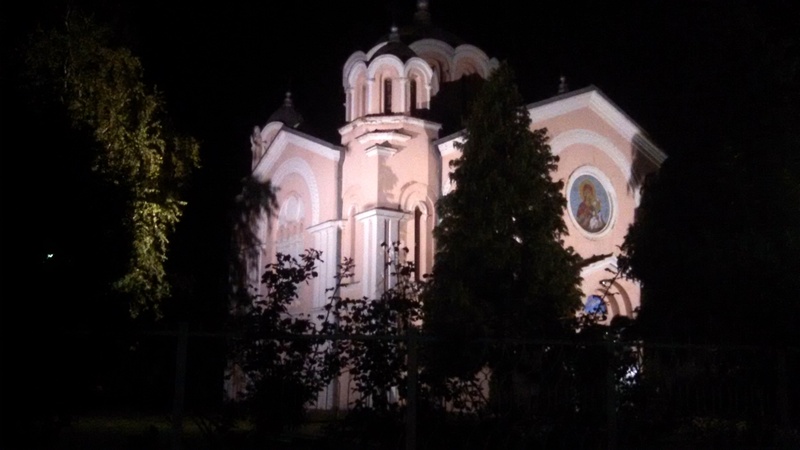 This was the second church constructed in Kumanovo after the 19th century church of St. Nicholas. 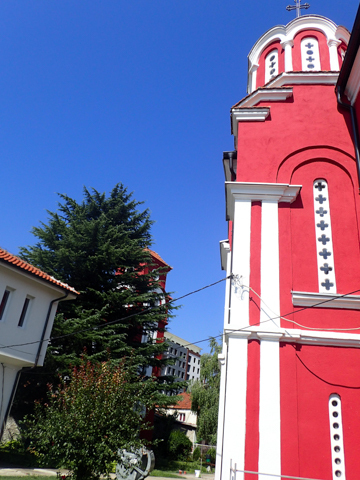 It is a very short walk between the two churches. 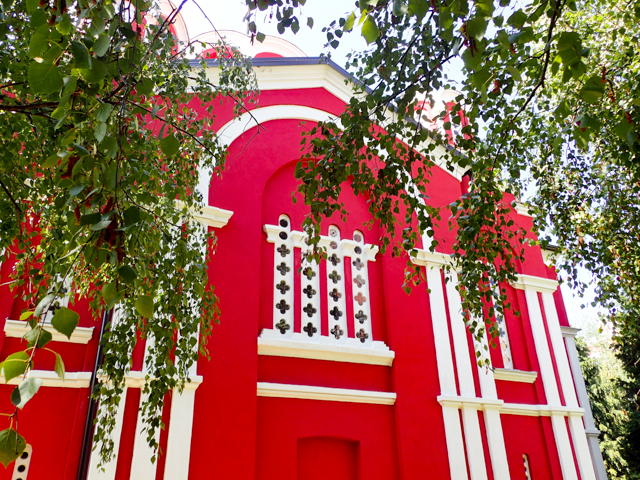 If you park in the lot adjacent to the Culture Center and walk around the outdoor café to the rear, you will discover Sv. 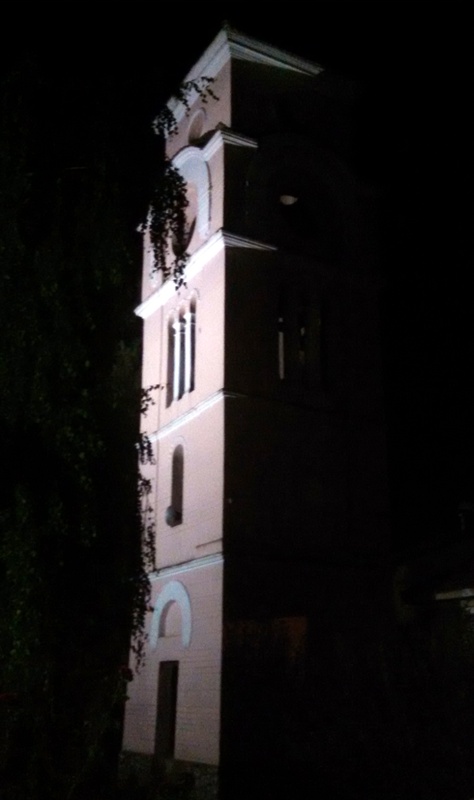 Troica, hidden in a jungle of concrete, towered over by a skyscraper and just inside a paved courtyard reachable by a built-in tunnel though a building.